The stores of home appliances there are many appliances and kitchen utensils, which can greatly simplify the labor of Housewives. Such a useful device applies the slow cooker. Even the most ordinary dishes in it acquires a special taste. The slow cooker will definitely make life easier for many women, especially young moms. Because some device does not need to constantly stand, stirring the food so it does not burnt. You only need to prepare the food, fill the bowl and set the desired mode. After a certain time "little helper", with an audio signal that lunch is ready and you can sit at the table. The only problem is at first very difficult to come up with some recipe, so start with the most simple, for example, buckwheat with chicken. - salt, pepper, seasoning to taste. So, the first thing you need to peel the onion and cut into small squares, carrots wash, peel and chop on a grater. Rinse chicken, remove fat and bones, if any and cut into small pieces. Then in the bowl of a slow cooker filled with oil, and laid out the vegetables and meat. Mode will exhibit, depending on the manufacturer. On some models you must enable "Frying" for 10 minutes at a temperature of 120 degrees, the other mode may be called "Baking", "Roasting," "Braising," "the Grill". In General, you need to select the best option based on the characteristics of the slow cooker. As already mentioned, fry the chicken, carrots and onions 10 minutes, stirring occasionally so everything is evenly cooked. While there is free time need to prepare buckwheat: measure out 2.5 multistone cereals to sort out, if necessary, and then pour it in a colander and rinse with cold water, allow excess fluid to drain. When the allotted time passes, and meat with vegetables are browned, it is necessary to fill in the bowl of a slow cooker rump. There is added water, salt and spices to taste. Stir everything thoroughly and the cover Assembly is closed. Now you must select the mode, again it will depend on the manufacturer. 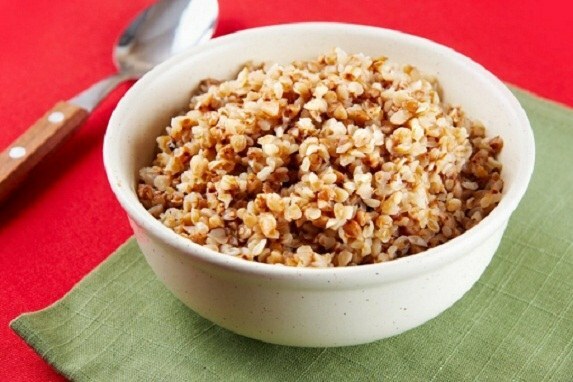 This will most likely be the mode to "Buckwheat", "Buckwheat" or "Rice" - any of them ideal for cooking delicious meals. That the food is ready, a beep signal. It will happen in 25-40 minutes after the start time depends on the model multivarki. Buckwheat with chicken is a tasty and healthy dish for the whole family. If desired, it can vary further by preparing some sauce on top or adding a bit of chopped greens.